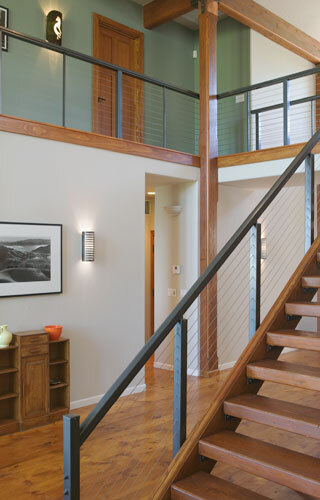 Whether you have an urban dwelling, a downtown loft or an ocean front property we have the knowledge, choices and moste importantly experience to make any cable railing project a success. Cable railing infill is not only extremely durable and attractive but virtually invisible, allowing beautiful, unimpaired views. Whether you want to use it with a completely metal system of handrial and newels, or pair it with specific wooden newels and handrails, we'll help guide you through your options. Contact us for more information about the different options.